*The holidays are right around the corner. If you live in Australia like me, you’ve been bombarded with holiday goods since the end of September. The holidays in Australia are slightly different than the white Christmas’ I had in the US, but some things are still the same. I’ve always struggled on what to get people for Christmas. I think it could be because I overthink everything! I thought it would be fun to do a little holiday series for those who often struggle to come up with gift ideas. Pin this now for all your friends! I finally bit the bullet and bought one for myself. I’ve been super envious of all my friends who own one of these maps. It’s so exciting to be able to scratch off a new country! I've put mine above my bed and then placed photos of my travels around it. The most amazing centrepiece for my room. 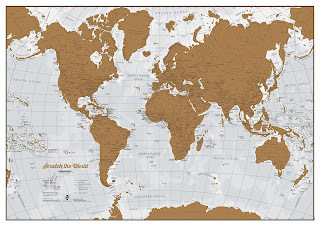 Every traveller needs one of these maps in their lives. Love this map? Get it here. 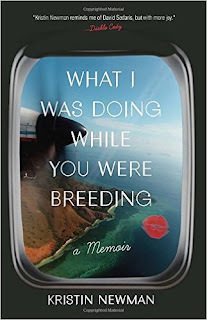 This book was recommended to me via the Girls LOVE Travel Facebook group. I have to say it is incredible! I always look for an excellent book to read while travelling (or even back at home) and I’m jubilant I stumbled upon this book. I highly recommend this book. I think eventually I need to make a whole post about books to read when travelling. Be sure to get yourself a copy by clicking here. 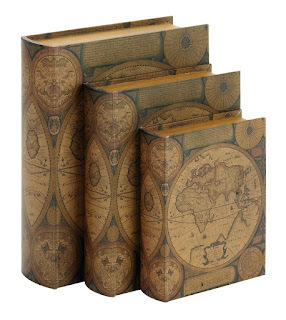 The perfect gift for keeping all of your travel needs beautiful and organised. I never travel without mine! It helps keep my boarding pass, passport, relevant documents, and whatnot organised and in one place when travelling. This is incredibly helpful at the airport. You don’t need to go digging through your bag, struggling to find anything, while the people in line behind you get steadily more and more impatient because clearly, this is your first rodeo. Organise yourself for your next flight! Oh, my sweet Lanta. I used to have one of these, and in between moving from the US to Australia, it died. My purse is a giant jungle of lost things. Finding anything is impossible! When I had my organiser, everything was neatly organised. This is definitely on my holiday wish list. Organise my messy purse NOW! Every traveller needs a travel journal! 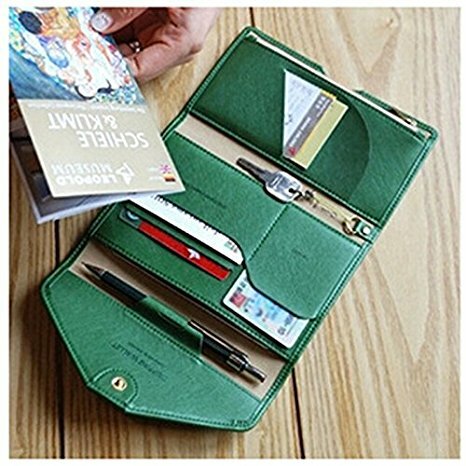 Whether it’s a blank journal, a travel wish list, or a travel journal with a little bit of prompting, it is a journey must have! I personally have a small journal that asks where I went, where I stayed, who I met, and then a place to write general information about that trip. It has a travel packing list, a place to write down the information about where I’m staying, and a place to write down emails and addresses to all the people I send postcards home to. 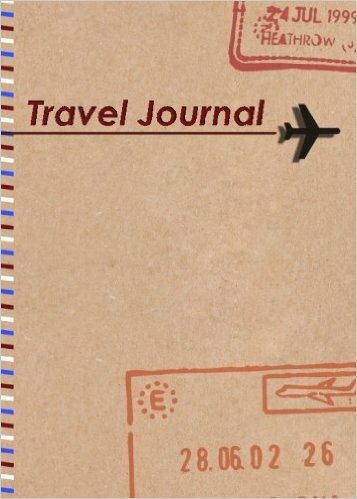 One of many travel journals to choose from. This. This right here is every traveller's dream. Who needs a $20 Starbucks gift card when you could give a $20 airline gift card. It may not be a whole flight, but that $20 saved on a flight could be days worth of food and activities in a foreign country! 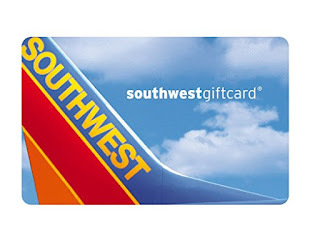 Southwest is just one of the many airlines that sells gift cards! My wanderlust is never satisfied. When I return from a trip, my soul longs to see more of the world. I’ve found some fabulous home decor that shares my spirit. As I tend to keep museum stubs, plane tickets, and other mementoes from the various countries I’ve visited, I keep those items hidden away in storage books with a map of the world or the particular country. These books blend seamlessly into my bookshelf, and it's easy to access when I want to go on a trip down memory lane. Recently on the Girls LOVE Travel page, someone posted a world map duvet cover, and I instantly fell in love! Even just looking at the picture jump-started the hamsters in my brain to begin planning my next adventure. To come home and cuddle in such happy memories would be awesome! Another great gift is some artwork. Yes, there are pictures from every trip lining the walls of a traveller's home, but sometimes it is also important to incorporate various pieces of art. 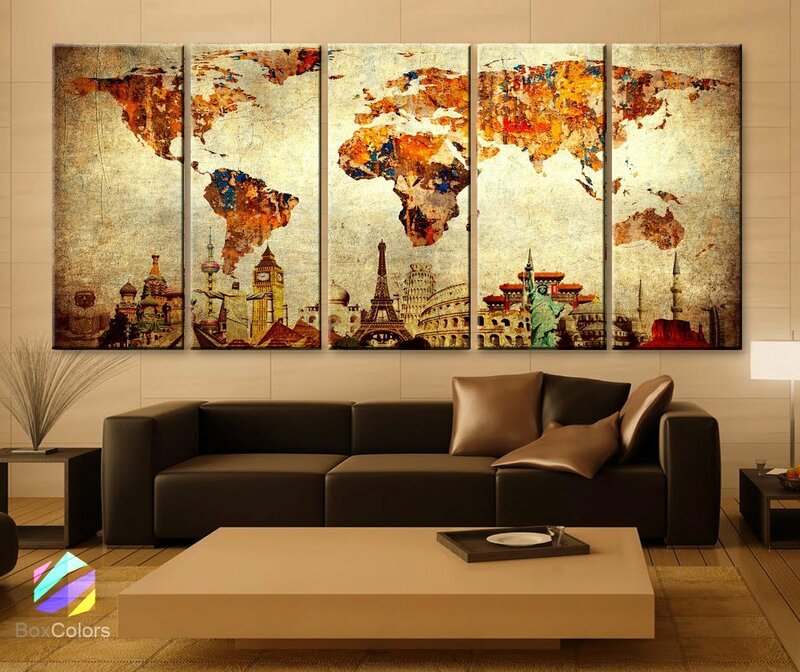 For the traveller who does not return with art pieces from the countries they visit, why not get them a beautiful canvas art piece or a decal? These are just a few ideas if you’re stuck on what to get the favourite traveller in your life. Are there some gifts ideas I missed (I’m sure I did)? Share what gift you would like to receive most or gift ideas I did not include in the comments below. Heading for Iceland next summer and I really want to get a great journal before I leave. Plus that wallet looks super handy. I love my travel journal. It's super helpful to remember specifics about my trip. Enjoy your trip to Iceland! What fun ideas! 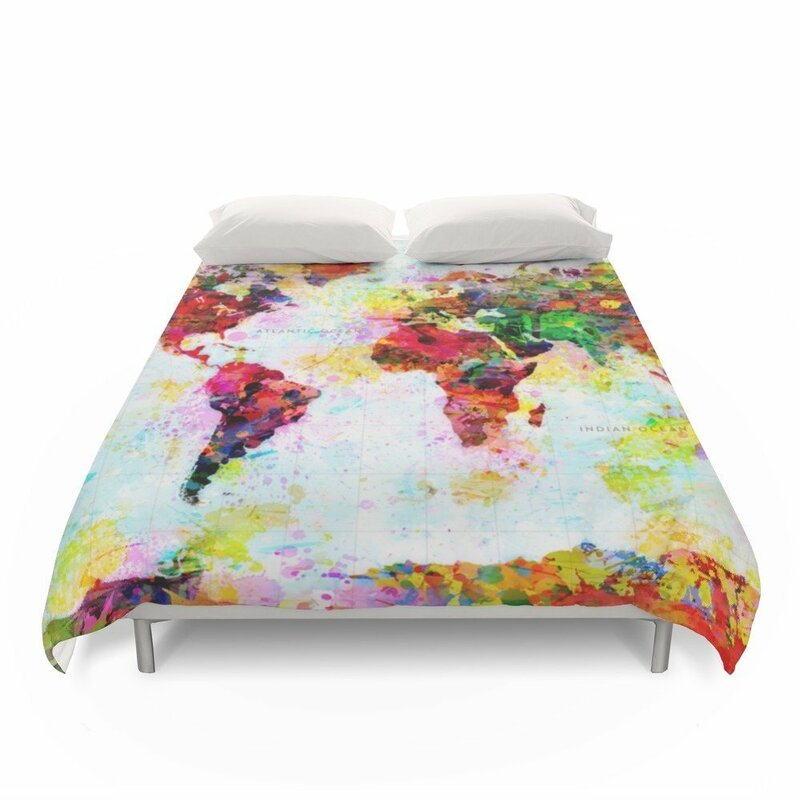 I love the duvet cover! I think I need that wallet also! I'm crossing my fingers I'll get the duvet for Christmas! Love these suggestions. adding some to my wish list this year! Anyway, love your little put-together! I'm actually gonna put the linen on my wish-list, need new ones anyway. And love my scratch map haha. Yes I am! There's always good stuff being talked about on GTL. Love my scratch map as well except it really makes me realise how little I've seen of the world. The scratch map is a must! Definitely makes me realise just how little of the world I've seen. Hopefully all your holiday wish list gifts become a reality! Since I am the traveller in my life, I was going through the list thinking how I could definitely use some of these items. 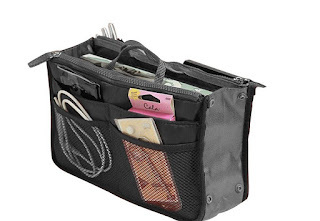 Especially Handbag Organiser Inserts - it looks so handy! My bad would appreciate it. I really need to get a new one. I was so sad once mine decided it would no long function in my hand bag. It truly is an amazing addition! I hope you enjoy the book! I definitely enjoyed it. Those are awesome gifts to give. 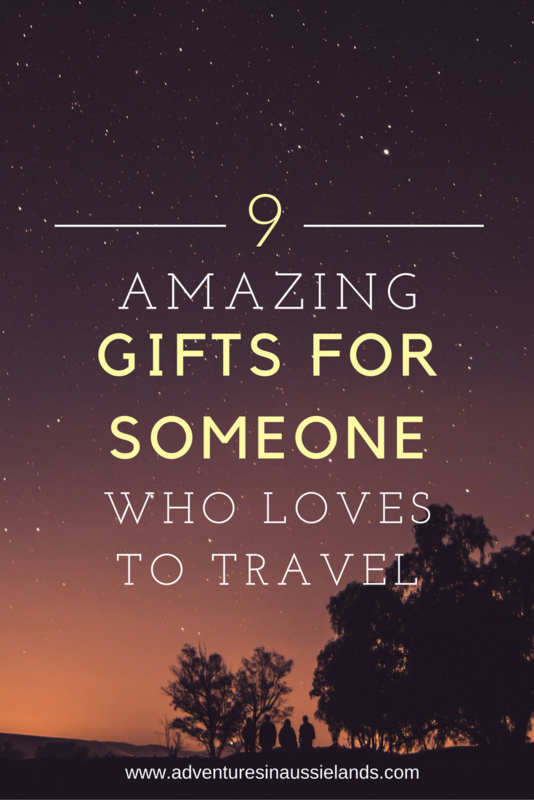 Another one I like giving or receiving is gift cards for travel experiences. Like tinggly or local experiences. It's pretty awesome. That's an amazing read and has some really amazing gifting ideas! 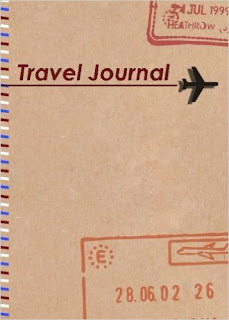 We personally liked the travel journal which is still a star in this digital world! So many great ideas! I'm drooling over the art piece!